It is with great gratitude and admiration that we celebrate the 2017 Jury Members. This year we were fortunate to have 54 individual Jury Members across 15 countries, divided into teams of three or four, dedicated to each of our 14 categories. Without their commitment, expertise, and enthusiasm for design, our program would not be possible. Lola Sheppard received her B.Arch from McGill University and M.Arch from Harvard Graduate School of Design. She is Associate Professor at the University of Waterloo. Together with Mason White, she founded Lateral Office in 2003. Lateral Office is an architecture practice that operates at the intersection of architecture, landscape, and urbanism. The studio describes its practice process as a commitment to design as a research vehicle to pose and respond to complex, urgent questions in the built environment, engaging in the wider context and climate of a project– social, ecological, or political. Lateral Office have been pursuing research and design work on the role of architecture in remote regions, particularly the North, for the past seven years. Lateral’s work tests the potential for architecture and infrastructure to be culturally responsive, geographically scalable, environmentally adaptable, and multi-purpose in its programmability. The office’s work has been exhibited and lectured extensively across the USA, Canada and Europe. Lateral Office was awarded a Special Mention at the 2014 Venice Biennale for Architecture, a PA award in 2013 and the Holcim Gold for Sustainable Construction for North America, for their project Arctic Food Network. They received the Emerging Voices from the Architectural League of New York in 2011, and the 2010 Professional Prix de Rome from the Canada Council for the Arts. Lateral Office are the authors of the upcoming book Many Norths: Spatial Practice in a Polar Territory (Actar 2017) and of Pamphlet Architecture 30, COUPLING: Strategies for Infrastructural Opportunism, published by Princeton Architectural Press (2011). Sheppard and White are also co-editors of the journal Bracket. Eva Franch is a New York based architect, curator, educator and lecturer of experimental forms of art and architectural practice. 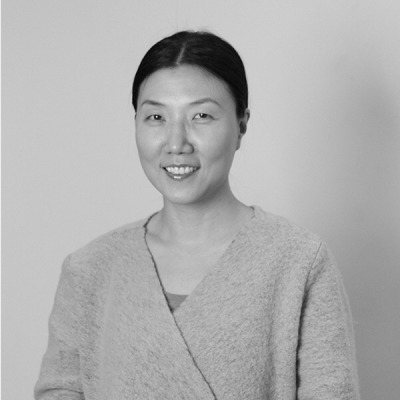 In 2004, she founded her solo practice OOAA (Office of Architectural Affairs) and since 2010 is the Chief Curator and Executive Director of Storefront for Art and Architecture in New York. Franch specializes in the making of alternative architecture histories and futures. Franch has lectured internationally on art, architecture, and the importance of alternative practices in the construction and understanding of public life at educational and cultural institutions including the Royal college of Art and the Architecture Association in London, Arts Club of Chicago, Cooper Union in New York, Hong Kong University, IAAC in Barcelona, Izolatsia in Kiev, Kuwait University, SVA in New York, San Francisco Art Institute, Sandberg Institute in Amsterdam, University of Manitoba, UT Sidney, Oslo School of Architecture, Princeton University, SCI-Arc in Los Angeles , and Yale University among others. 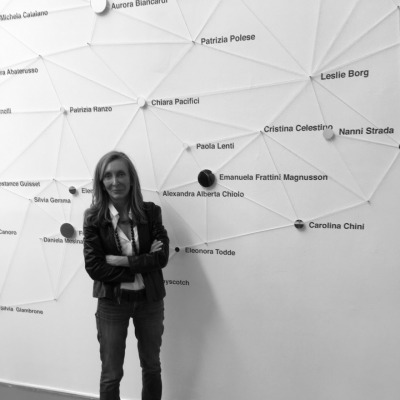 In 2014 Franch, with the project OfficeUS, was selected by the US State Department to represent the United States Pavilion at the XIV Venice Architecture Biennale. Franch has taught at Columbia University GSAPP, the IUAV University of Venice, SUNY Buffalo, and Rice University School of Architecture. Recent publications by Franch include Agenda (Lars Muller, 2014) and Atlas (Lars Muller, 2015) both as part of OfficeUS. An upcoming publication, the OfficeUS Manual will be published in 2017. 5468796 architecture is a Winnipeg-based studio established in 2007 by Johanna Hurme and Sasa Radulovic and joined shorty by the third partner Colin Neufeld. In the past [nearly] ten years the firm has achieved national and international recognition and its work has been published in over 200 books and publications. Project specific awards include Progressive Architecture Awards; Awards for Emerging Architecture & Future Project Award from from Architectural Review; Governor General Medals in Architecture and Awards of Excellence from the Royal Architectural Institute of Canada, as well as recognition as a finalist of IIT’s emerging MCHAP award on two consecutive years, to name a few. Firm recognitions include the 2014 Rice Design Alliance Spotlight Award, the RAIC Emerging Architectural Practice Award, WAN 21 for 21, as well as the Architectural League of NY Emerging Voices lecture series and the Design Vanguard issue of Architectural Record. 5468796 makes design advocacy an ongoing pursuit through critical practice, professorships at the Universities of Manitoba, Toronto and Montreal; and through numerous public engagements. In 2012 5468796 represented Canada at the Venice Biennale in Architecture and in 2013 they were selected as recipient of the 2013 Prix de Rome Award in Architecture for Canada by the Canada Council for the Arts. In addition to practice Johanna + Sasa are activists and advocates. They are passionate about making architecture an integral part of broader culture by spearheading ventures like Table for 12 + 1200, Chair Your Idea and Design Quarter Winnipeg. Sasa is a member of the University of Manitoba Partner’s Program Executive Board and currently serves on the Presidential Advisory Committee for the selection of the Dean at the University of Manitoba. 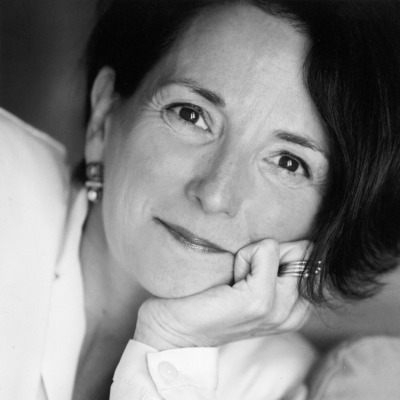 Sheila Kennedy is an American architect, innovator and educator. 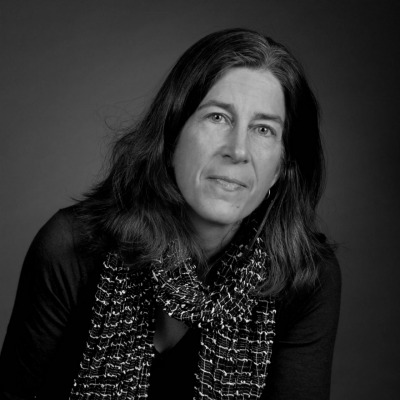 She is a founding Principal of KVA Matx, an interdisciplinary practice that designs architecture, urbanism and resilient infrastructure for emerging public needs www.kvarch.net. 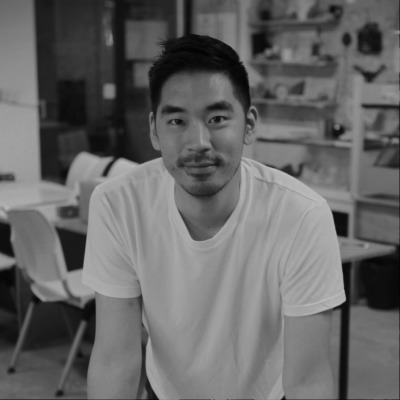 Designated as one of Fast Company’s emerging Masters of Design, Kennedy is described as an “insightful and original thinker who is designing new ways of working, learning, leading and innovating”. Kennedy is the 2015 recipient of the Rupp Prize, the 2014 Design Innovator Award and is the 2016 recipient with SELCO India of an Inventing Green grant from the Lemulson Foundation. 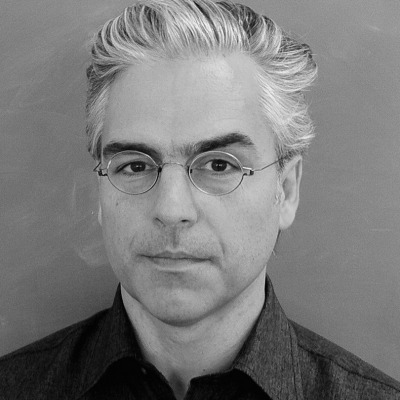 Kennedy is Professor of the Practice of Architecture at the Massachusetts Institute of Technology. Kennedy directs KVA’s material research division MATx which works with industry leaders, universities and public agencies to explore new applications for natural and emerging materials. 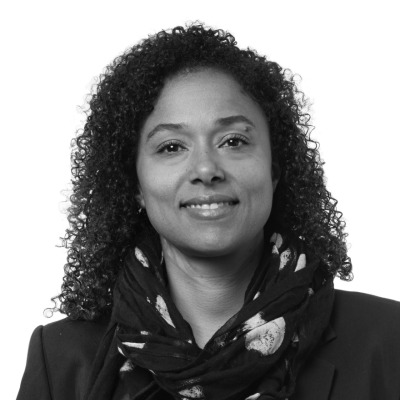 Kennedy’s work focuses on the design of public space and next generation resilient infrastructure in networked cities and urbanizing regions. MATx has developed designs for Dupont, Siemens, Osram, Herman Miller, 3M, The North Face, the United States Department of Energy, Volkswagen “Think Blue” and the green Electrical Utility Company of Portugal in Brazil. The KVA MATx Portable Light Project, a non-profit global initiative to create energy harvesting textiles in the developing world has been recognized with a 2012 Energy Globe Award, a 2009 US Congressional Recognition Award, the 2009 and 2012 Energy Globe Awards and a 2008 Tech Museum Laureate Award for technology that benefits humanity. 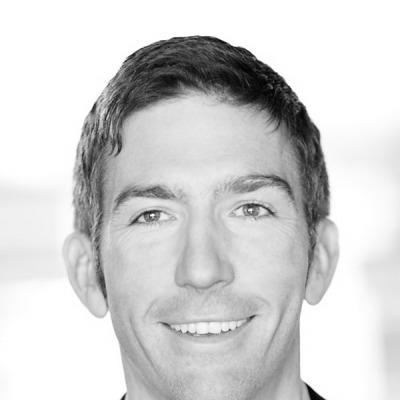 Thomas O'Connor is an awarded Industrial Design consultant who thrives at the intersection of business, technology and user-centered design. He began consulting for PDT in 2010 where he's led multi-disciplinary teams ranging from start-ups to Fortune 500 companies. PDT is a Chicago based product development consultancy specializing in fast moving, regulated and complex industries ranging from medical devices, aerospace, consumer electronics, laboratory equipment and tactical communication devices. Thomas has consulted for clients including AbbVie, Hospira, Smiths Medical, Harris, Thermofisher, Siemens, Bosch, 3M, Weber, McDonalds and Intel. 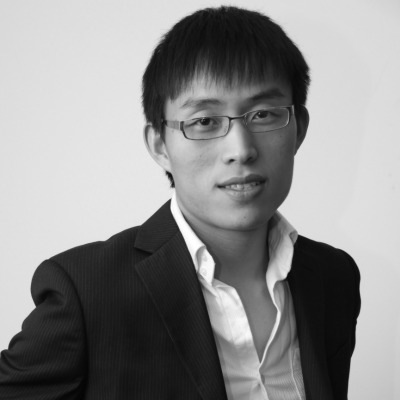 Most recently Thomas spent 4 months working in Shanghai as a consultant for Sinowell. Thomas led research and product development to help bring innovation to the commercial horticulture and hydroponics industry. Sinowell is a manufacturer and wholesaler of horticulture and hydroponics equipment. Thomas is active in the Chicago start-up community, serves as a judge in Chicago's Tech Week Launch Competition and is an Industrial Design mentor at University of Illinois at Chicago. Thomas grew up in the Motor City and received his BFA in Industrial Design from the College for Creative Studies in Detroit. Aimee Franco is an independent design consultant based in Brooklyn, NY. She studied industrial design at the College for Creative Studies in Detroit, Michigan and currently works on projects that span the physical and digital product realms. Passionate about designing for impact, Aimee has spent most of her career working in the healthcare space. Early on, she worked with Fortune 500 medical technology companies as an industrial designer at​ ​Tekna​. Later, she collaborated with​ ​iDE Cambodia​ on healthcare-focused international development projects, and she began designing digital experiences. More recently, as Product Design Lead at Caremerge, she worked on designing a care coordination platform for older adults, and has since become an independent consultant. Aimee has also taught as an adjunct instructor for Startup Institute’s web design program. Brian Case is a Senior Director of Research and Development for Fresenius Kabi's Medical Device Division. Brian has over twenty years of experience in developing products from conceptualization to market launch. 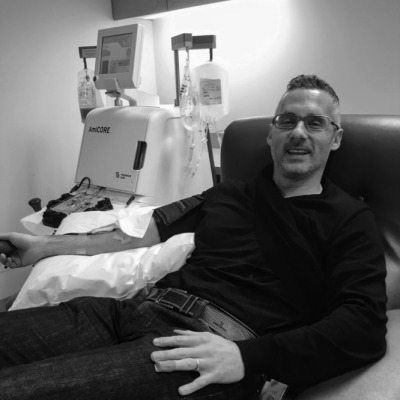 He has spent the last ten years focusing on the development of apheresis technology. The latest example is Fresenius Kabi’s AmiCORE® Advanced Platelet Apheresis System. Prior to joining Fresenius Kabi, Brian led the advanced research team at Cook Medical focusing on the development of stents and tissue engineered valves. Brian helped Cook launch their first self-expanding stent Zilver®. 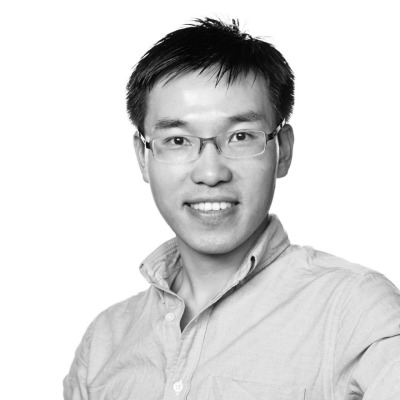 In addition, Brian has extensive experience in user interface design and usability evaluations. Brian is a prolific inventor and has over 70 patents. Brian has a master's degree in Engineering Management from Rose-Hulman Institute of Technology and a bachelor's degree in Engineering Mechanics from the University of Illinois. He is a licensed Professional Mechanical Engineer and a certified Project Management Professional. Mesve Vardar is the Director of Industrial Design at Humanscale. With a decade of Humanscale experience behind her, Mesve Vardar has been a key contributor to a number of celebrated Humanscale products, including the Red Dot award-winning T7 Mobile Technology Cart. 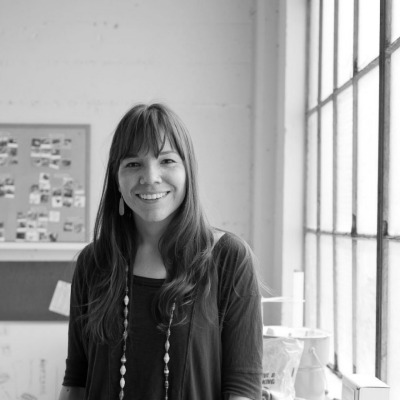 She joined the company in 2006 as a designer after earning a Master of Arts in Industrial Design from Pratt Institute. Before accepting the role of Design Director, Vardar worked as a Senior Industrial Designer and Researcher. In this capacity she worked on product development and research across categories, including seating, monitor arms, healthcare and lighting. Having conducted dedicated research into the future workplace, she is motivated by front-end thinking and the broad impact Humanscale can have on the changing office. Ian Ferguson (born USA 1977) studied Architecture at the Massachusetts Institute of Technology where he received a B.Science in Architectural Design in 2000. In 2007, he received his MA Design Products at the Royal College of Art. 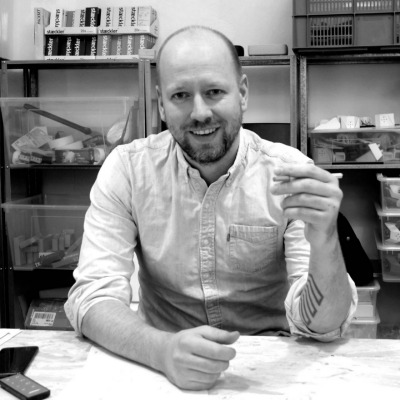 Along with Martin Postler, he is a founder and director of PostlerFerguson, an industrial design office creating products for a meaningful future. PostlerFerguson works with clients to design and develop products combining bold creative vision with refined technical solutions. 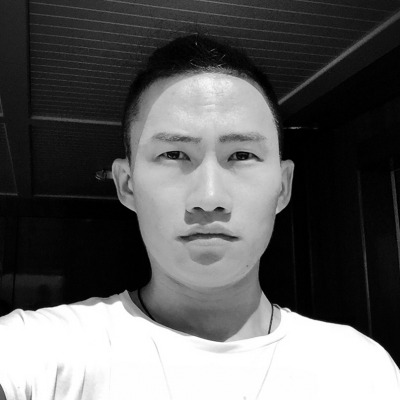 In 2011, he also co-founded PostlerFerguson’s sister company in Hong Kong, Papafoxtrot, a lifestyle and wood toy company. They produce a range of wood toys based on modern industrial marvels and the Staeckler shoe display systems. Their products have received accolades and awards including nominations for the Designs of the Year by London’s Design Museum, and Space.com’s Space Age Award. 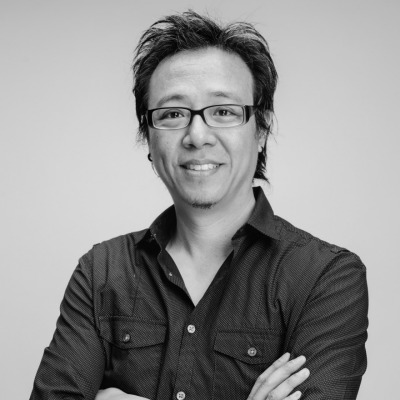 He has worked extensively as an architect, for firms including Testa + Weiser (Los Angeles), Hideto Horiike + Urtopia (Tokyo), and Ove Arup (London). He has taught architecture and design at the Southern California Institute of Architects, University of California Los Angeles, Aarhus University and the Istituto Europeo di Design, and co-directed the first year architecture course at London Metropolitan University, and ran Platform 17 in the Royal College of Arts Design Products department from 2011 - 2015. Martin Postler (born Germany 1977) studied Industrial Design at the Muthesius Academy of Fine Arts and Design, graduating with a Diplom (MA aequivalent) in 2004. 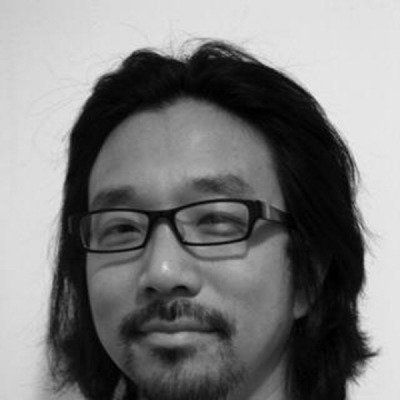 He received his MA Design Products in 2007 from the Royal College of Art and Kyoto University of Arts. 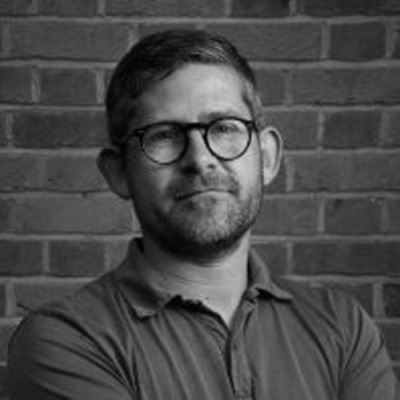 Martin worked for diverse design agencies in Hamburg, Hong Kong and London for clients including Boeing, Lufthansa, Airbus, Nokia and Deutsche Telekom and received numerous awards including the Raymond Loewy Foundation Award, Red Dot, IF Design, DAAD and Invent Scholarship from the German Ministry of Education. From 2011 - 2015 he taught at the Royal College of Art Design Products Departement. 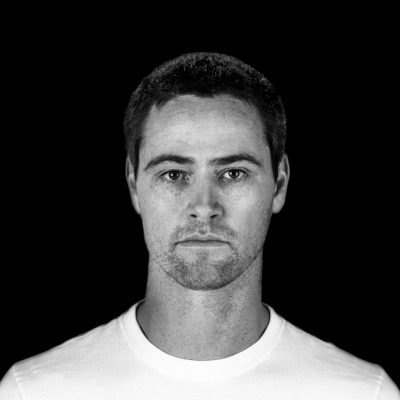 Along with Ian Ferguson, he is a founder and director of PostlerFerguson, an industrial design office creating products for a meaningful future. PostlerFerguson works with clients to design and develop products combining bold creative vision with refined technical solutions. With offices in London and Hamburg, they have an international roster of clients including LG Electronics, Nike, Acoustic Research, Nudeaudio, the Massachusetts Institute of Technology and Victoria and Albert Museum. He is currently a Professor of product systems and production processes at the Muthesius Academy of Fine Arts and Design. 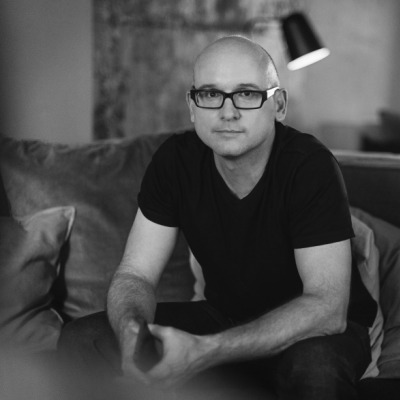 As SVP of Design and User Experience at HTC, Scott led the team that launched several acclaimed phones including the Evo, Incredible, and HTC One M7 and M8. Before that Scott was a principal at One + Co, an award-winning lifestyle design firm, which was acquired by HTC in 2008. 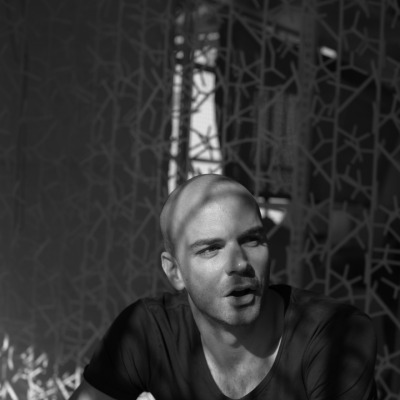 Benjamin Hubert is an award-winning British design entrepreneur, and founder of creative agency, LAYER. 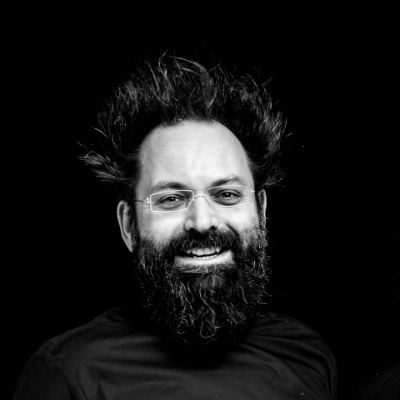 The new agency is the evolution of Benjamin Hubert Ltd. and is focused on experience-driven design for both the physical and digital worlds. LAYER launched in September 2015, with a focus on creating meaningful experiences based on extensive research and human behaviours. The new holistic design practice incorporates a more diverse creative toolbox, including industrial design, mechanical and electrical engineering, user experience design, user interaction design, branding, and human-centred research. Benjamin has received a number of awards, including the RedDot Design Award, iF Design Award, and London Design Museum’s Designs of the Year. 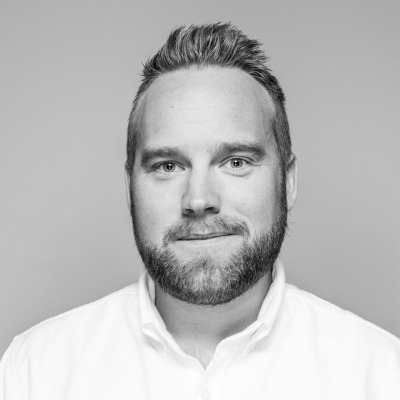 Jakob Kristoffersen, by formal title; as Concept & Design Manager for B&O PLAY by Bang & Olufsen, doesn’t really say much. His craft is creative direction, but he sees the essence of his role in designing and nurturing EXPERIENCES, ideas – concepts. a Storyteller. Spending time understanding the unarticulated drivers of urban creative individuals. Curating design strategies and philosophies down to products answering those needs. Directing the creative process of concepts to realize these in luxuriously simple beautiful designs in tune with tones and styles in the time. Packs a background in start-ups in Silicon Valley, educated in Global Business Engineering and Innovation Management from Denmark, Business Administration and Design at Harvard Business School and Harvard University in Boston, business development in China, and a detour to management consulting. A fan of emotional- and rational passion. Speaks Chinese. Coat size 48. 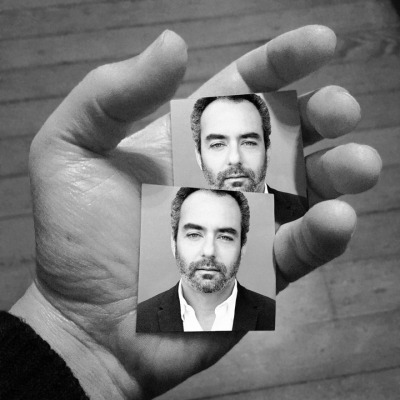 Max Fraser works as a design commentator across the media of books, magazines, exhibitions, video, and events to broaden the conversation around contemporary design. He delivers content and strategy for a variety of public and private bodies in the UK and abroad. He is the author of several design books including DESIGN UK and DESIGNERS ON DESIGN, which he co-wrote with Sir Terence Conran. 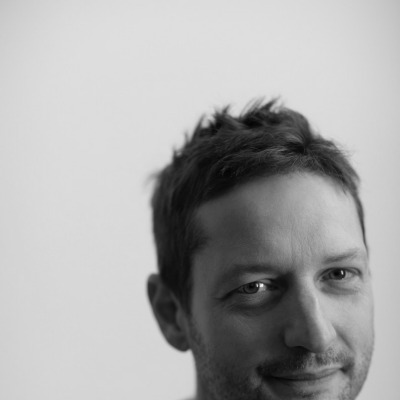 He owns Spotlight Press, a publishing imprint, recent titles include LONDON DESIGN GUIDE and DEZEEN BOOK OF IDEAS. As a journalist, he writes for publications including Newsweek International, Financial Times, CNN Style and Blueprint. Previously, he worked as the Deputy Director of the London Design Festival from 2012-2015. Peter Bristol's work blends form with function in uniquely appropriate ways making products that are inherently recognizable. His designs have been recognized across multiple genres with a broad array of patents and awards. 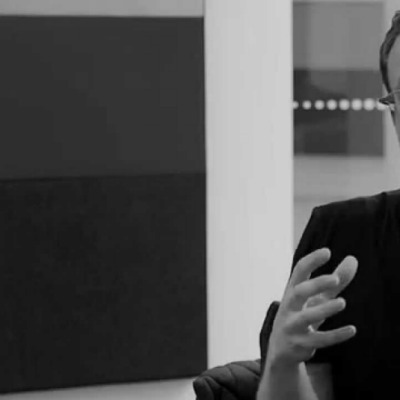 Peter is currently director of industrial design at virtual reality company Oculus. Parallel to Oculus, Peter partners with design focused companies to create furniture, lighting and other goods. 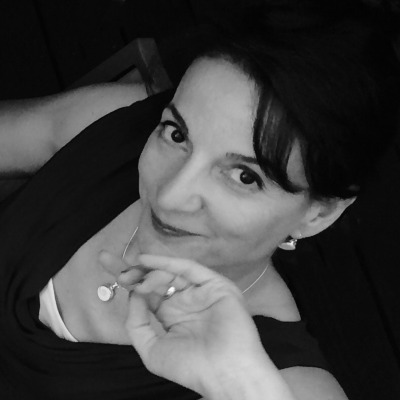 Petrula Vrontikis is a leading influence in graphic design. Her current work includes research, writing, consulting, creating brand communication strategies, training, and coaching. She received an AIGA Fellows Award honoring her as an essential voice raising the understanding of design within the industry and among the business and cultural communities. She served as a national advisory board member of the AIGA and is frequently asked to serve on numerous local, national, and international design juries. She is creative director and owner of Vrontikis Design Office (@vrontikis and 35k.com) and a professor at Art Center College of Design, teaching graphic design, career development, and professional practice courses. Her professional practice gives her role as a teacher an important authenticity. She encourages students to explore their potential as designers and as a catalyst for change in the larger creative community. Petrula is an avid traveler and visual translator. It’s not unusual to find her scuba diving with giant manta rays, climbing a steep and rocky slope, or twisting her body like a pretzel in a yoga class. Jeremy Mende is a visual artist and designer from San Francisco, California. In 2000 he founded MendeDesign, a creative practice that balances commercial projects with strategic design work for socially oriented non-profits. The studio has been recognized internationally for its work and currently has pieces in several collections including the San Francisco Museum of Modern Art. Jeremy is a professor of design at California College of the Arts. Phil Hamlett is the Director of the School of Graphic Design at the Academy of Art University in San Francisco, the largest private art and design school in the country. In this setting, he teaches classes, develops curriculum, recruits and manages instructors, advises students, manages the graduate thesis development process, conducts outreach and establishes the strategic agenda for the School. His students emerge as advanced design practitioners and go on to acquire positions at leading firms around the world. 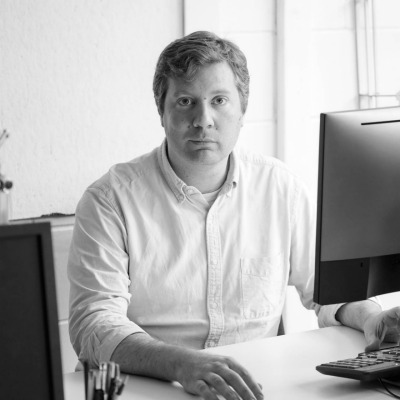 Phil joined the Academy in 2004 and served for thirteen years as the Graduate Director for the School of Graphic Design, building the nascent MFA program from scratch. Prior to becoming a design educator, Phil led design studios on both coasts, creating award-winning work for clients large and small. His extensive professional experience provides him with the perspective necessary to prepare students for the challenges of the real world. Capable of playing a wide variety of design, communication and managerial roles, he is adept at identifying creative challenges, distilling core objectives, formulating a plan of attack, and managing the team that will then fix everything. Phil recently completed his term as president of the AIGA San Francisco chapter, for which he continues to serve ex officio. He is also a former AIGA national board member, founder of Compostmodern and co-author of the Living Principles for Design — the means by which he guides the development of sustainable business practice within the design community As a charter member of the Winterhouse Institute Founder’s Circle, he helps articulate the value of design education for social impact. In his off time, he can usually be found chasing around his two adorable children (photos available upon request). 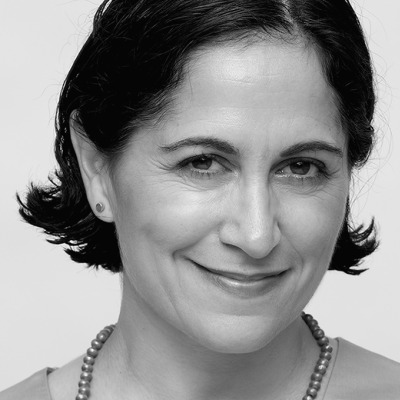 Roshi Givechi is a Partner and Executive Design Director at IDEO, a global design consulting firm. Having called many of IDEO's US and Asia offices home, Roshi channels her global exposure to amplify creativity and culture – cultivating opportunities for designers, clients, and an extended creative network to inspire and challenge each other in service of making a difference in the world. This exposure also means she spots patterns and edges across region as well as industry, enabling her to help shape good design. As a designer inspired by choreography, Roshi loves dissecting the many parts that come together to make a greater whole—whether designing for cities, products, services, or shaping stories themselves. Her years at IDEO have given her an intimate view of the changing nature of design’s role, and what it means to envision and define products and systems that bring disproportionate impact to the world. Roshi’s clients include Anheuser-Busch InBev, Bank of America, the Kaufman Foundation, Medtronic, NASA, Nokia, Ritz-Carlton, Steelcase, Timberland, and YouTube. Joe Speicher is the Executive Director of the Autodesk Foundation. Under his leadership, the Foundation supports the people and organizations designing and engineering high-impact solutions to the world’s most pressing social and environmental challenges. Prior to joining Autodesk, Speicher was on the founding team of Living Goods, where he spent six years leading operations for the global health organization. He began his career in the banking and finance sector, working with Deutsche Bank and Cambridge Associates. He then spent three years in the Peace Corps in the Philippines and has worked as a consultant for the Economist Intelligence Unit, the World Bank and Google.org. He earned a Masters degree in Development Economics from Columbia University and holds a Bachelors of Science degree from Washington and Lee University. Deanna is the co-founder of Designing Justice Designing Spaces, a nonprofit harnessing the power of design and development to transform people and communities. After starting her first company in 2011 she became a national leader in formulating and advocating for restorative justice centers, a radical transformation of justice architecture. Her passion for exploring the intersection of design and culture has been fueled by her work as a design lead on urban design, institutional and education projects in the bay area, Europe, Asia and the Middle East. Recent projects with DJDS include the Syracuse Peacemaking Center in New York and Restore, a multi-use hub for restorative justice and work force development in east Oakland. Deanna is currently conducting the first design studios with incarcerated students, and is a recent awardee of the Rauschenberg Artist as Activist grant to develop a prototype mobile resource village. 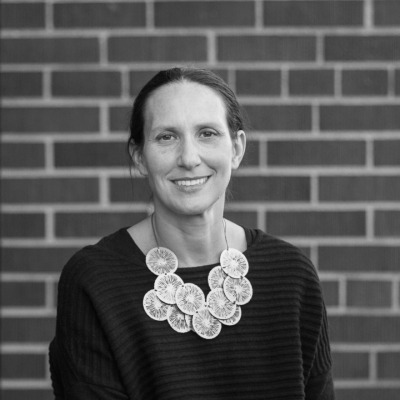 Deanna received her BS in Architecture from the University of Virginia, M. Arch from Columbia University and is an alumnus of the Loeb Fellowship at Harvard’s Graduate School of Design. 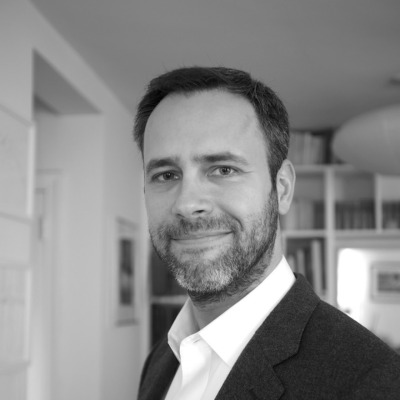 Fabio Sergio is Vice President of Design at frog, the global design and innovation firm. He works across a wide spectrum of industries and sectors, with global leaders such as Vodafone, GE, HP, LGE, BBC, J&J, Swisscom, Novartis, Merck, UNICEF, The Red Cross and the World Economic Forum. 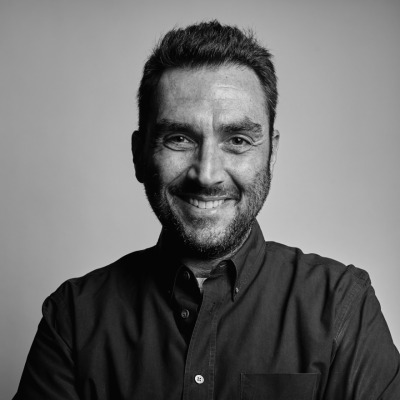 Fabio is part of frog's global Design Leadership team, the head of frog's Social Impact Design practice, one of the firm's healthcare experts and one of its User Experience Strategy leads. He helps to advance frog's capabilities, processes and methodologies. Fabio is passionate about exploring areas at the intersection of design, technology and human aspirations, wrapping business scenarios around people's desires and dreams. He often speaks at worldwide events, including The Economist Technology Frontiers, The Guardian Mobile Summit, The Aspen Design Summit, SXSW, The Unicef Innovation Summit, Stanford Mobile Health, NEXT Berlin, LIFT Geneva. 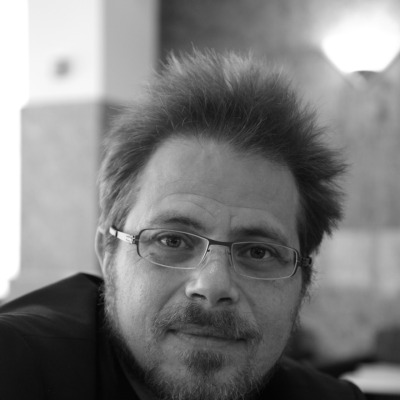 He is a professor at Politecnico di Milano, and a guest lecturer at Domus Academy, Copenhagen Institute of Interaction Design and SUPSI's Master of Advanced Studies in Interaction Design. 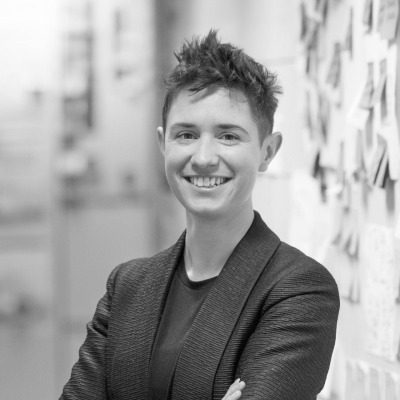 Heather Fleming is the CEO and co-founder of Catapult Design, a product and service design firm with an expertise in human-centered design for marginalized communities. Catapult partners with organizations to develop sustainable solutions that address technology and social issues such as: rural electrification, water purification and transport, food security, and improved health. Before starting Catapult, Heather was a product design consultant in Silicon Valley, designing products for a diverse range of corporate clients and an Adjunct Lecturer at Stanford University and California Academy of the Arts. In 2005, she co-founded and led a volunteer group, the Appropriate Technology Design Team (ATDT), focused on social impact design work through a professional chapter of Engineers Without Borders (EWB) in San Francisco. Heather was named a Pop!Tech Social Innovation Fellow and World Economic Forum Young Global Leader for her work with EWB and Catapult Design. She is also a Board member for the Navajo Chamber of Commerce and serves on ASME’s Engineering and Global Development committee, chairing an initiative to create standardized evaluation metrics and design guidelines for products distributed in impoverished communities. new technologies and services, such as the Nike Fuel Band. She received her MFA degree from Goldsmiths, University of London, where her research focused on the tension between sound, space and visual elements, and also the subtle experience between the technology synthesised and the reality. Most of her works attempt to represent pseudo-natural, material sensory environment, yet with characteristics of the computational and digital at its heart. Her works has been exhibited 2015 London design week at Victoria & Albert Museum, UK. 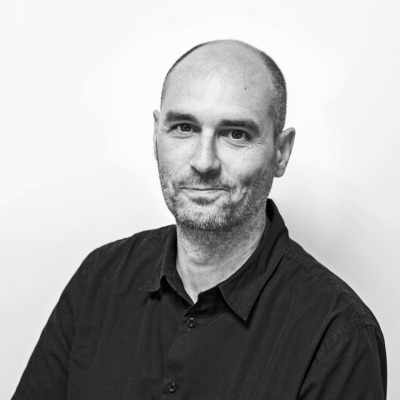 Ben Hughes is a designer, educator and author who has worked for consultancies in UK, Australia and Taiwan. 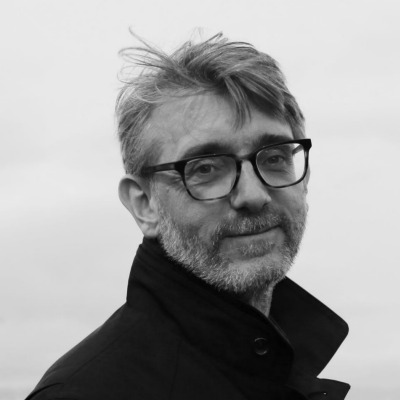 From 1999 to 2011 he was the Director of Postgraduate Industrial Design at Central Saint Martins. 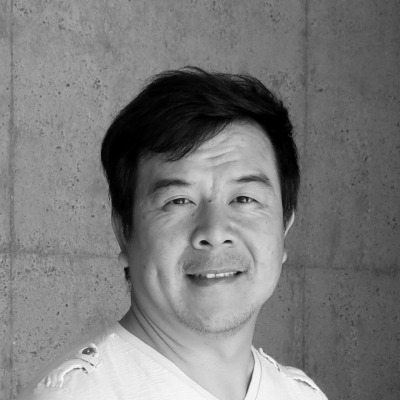 In 2011 he relocated to Beijing where was Professor of Industrial Design at the Central Academy of Fine Arts (CAFA) until 2016. He continues to run his own design studio, A4, in CaoChangDi, Beijing. When Danny Kuo designs his objects, he is not only concerned about playful flexibility but also about enhanced usability. Eric's work has earned him two ADDYs and Webby Honorees, and has appeared in Communication Arts, AIGA's annual Year in Design, PRINT Magazine and HOW Magazine. Before design, he studied public policy and worked in various levels of government and for several campaigns and political organizations. 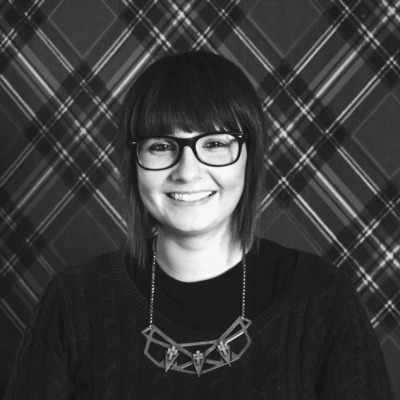 Kelsey Snook is Creative Director at Second Story experiential design studios. For over 15 years Kelsey has been creating participatory environments where people can connect. She has worked internationally, creating projects that span product, furniture, exhibition and large scale public interactive environments - as artistic pieces and for clients in cultural, commercial and public sectors. 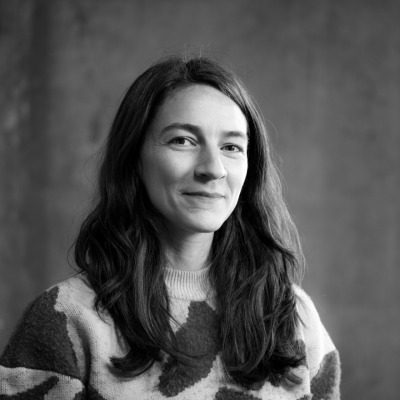 Kelsey holds an MA with distinction in Creative Practice for Narrative Environments from Central Saint Martins College of Art and Design, London, and a BA in Industrial Design from the Rhode Island School of Design. 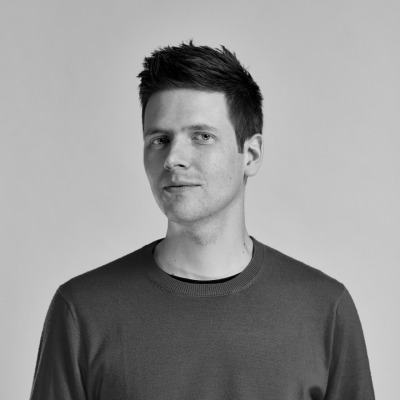 His work includes the multi award winning VR experience for the global launch campaign for Volvo XC90, Husqvarna Limberjack on SteamVR and ‘The Loop’ for OnePlus. Woojin received her BFA degree in Crafts from Kookmin University (Seoul) and her MS in Communications Design from Pratt Institute (New York). He has worked internationally as design engineer for architectural projects of a variety of scales and also as a Product Development Engineer at the Ford Motor Company in Dearborn, Michigan. 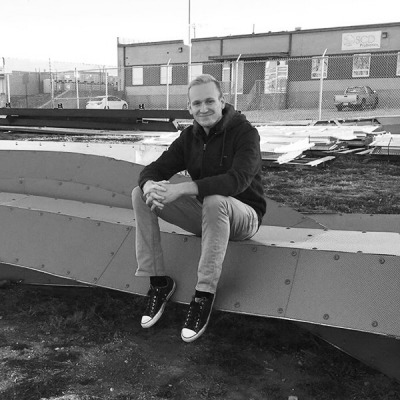 James deploys a diverse set of fabrication equipment, industrial robots, and custom made machinery with which he makes things, breaks things, and invents things with varying levels of success and sophistication. Nadya Peek is a postdoctoral associate at the MIT Center for Bits and Atoms, a group at the intersection of the physical and the digital. 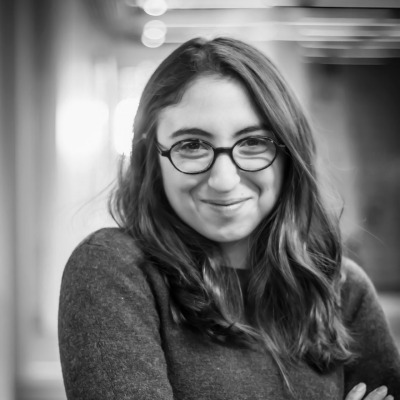 Nadya Peek works on unconventional digital fabrication tools, small scale automation, networked control systems, and advanced manufacturing, and is currently teaching the MIT class How to make something that makes (almost) anything. 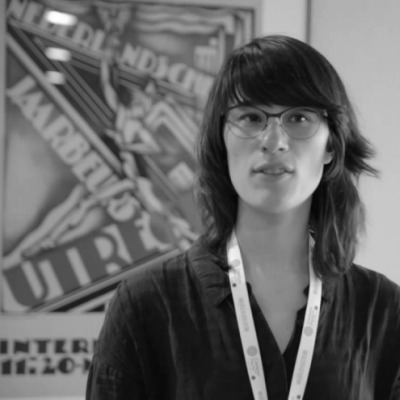 Nadya Peek is an active member of the global fablab community, working on making digital fabrication more accessible with better CAD/CAM tools and developing open source (hardware) machines and control systems. 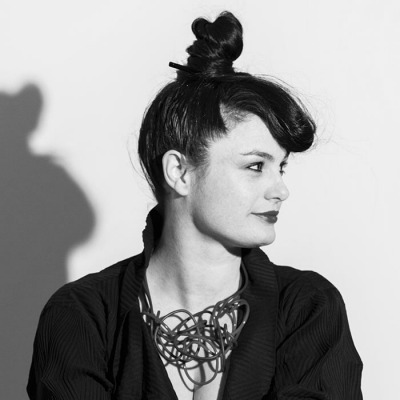 Previously, Nadya Peek was an editor at Mediamatic in Amsterdam. Since founding Chase Design Group in 1986, Margo’s vision has provided the fuel for Chase Design Group’s growth and achievement. Recognized worldwide for her skill with custom typography and identity development, Margo is dedicated to creating client success through high-quality, intelligent creative. Over the past 30 years, Chase’s landmark identity design has gained international recognition. Building on early successes in the music business designing packaging for artists Madonna, Cher, Prince, Bonnie Raitt and others, Chase Design Group is now a bi-coastal creative agency with offices in Los Angeles and New York. Their award winning branding, packaging and design strategy has earned them a long roster of prestigious clients including Sun America, Belkin, The CW Network, Bolthouse Farms, Califia Farms, CVS/pharmacy, Discovery Communications, Mattel, Nestlé, Nike, PepsiCo, Procter & Gamble, Quaker, Starbucks, Stila Cosmetics and Target. 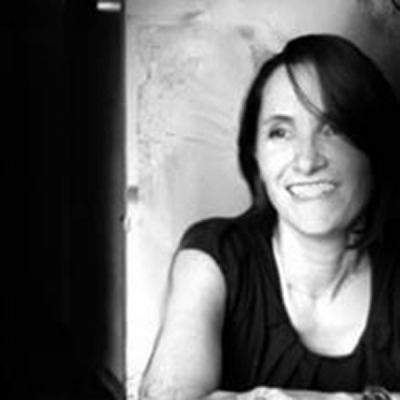 Margo was a 2009 recipient of the AIGA Fellows Award for her contributions to the field of Design. In a recent Graphic Design USA reader’s poll, Margo was one of only two designers to make the top ten in both “Most Influential Graphic Designers of the Era” and “Most Influential Graphic Designers Today”. Chase Design Group also was voted in the top ten “Most Influential Design Firms of the Era”. Among numerous other awards, Chase was selected as one of I.D. Magazine’s “I.D. Forty”. She was recently featured in the celebrated show “Women Designers in the USA, 1900-2000: Diversity and Difference” on exhibition in New York City. She has taught the highest level typography classes at Art Center College of Design and California Institute of the Arts. Outside of the office, you will find her flying upside down. She competes nationally in aerobatics and is the 2014 western regional champion in the advanced division. Kim Baer, principal of Los Angeles-based design studio KBDA is a strong believer in the power of design as a strategic tool. Her firm has created research-driven work for for-profit clients as diverse as Hyatt, and Nike, as well as nonprofits such as The Getty, the Hammer Museum, the Natural History Museum of Los Angeles, and the LA Phil. KBDA specializes in helping organizations hone their positioning. Once that messaging has been crafted, KBDA is well known for its focus on audience experience, whether it’s experienced online, in print or in an environment. Consistently honored by every major design organization in the country, KBDA has produced work that has been featured in the Library of Congress and regularly published in design anthologies. Premiere design magazines such as Communication Arts and HOW have regularly showcased the firm’s work and methodology. 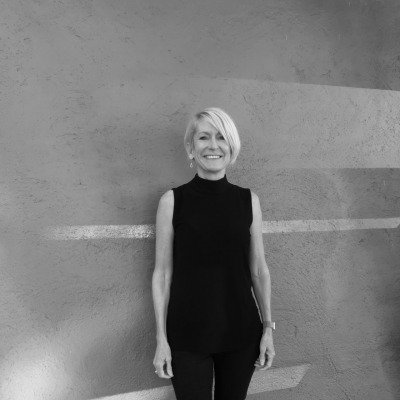 Kim Baer served on the national board of the AIGA (American Institute of Graphic Arts) and received the Fellows Award from the Los Angeles chapter of AIGA in honor of lifetime achievement. She is the author of Information Design Workbook from Rockport Publishers, an in-depth look at best practices in information design from around the world. 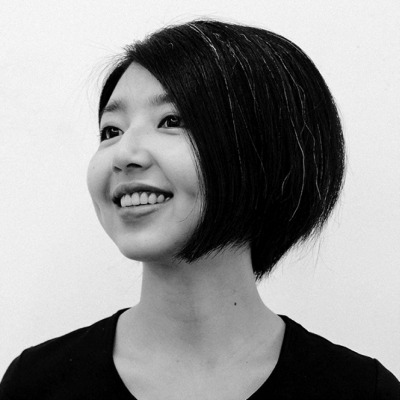 She is also on the Advisory Board for Art Center’s MFA Graduate Graphic Design program. Lawrence Azerrad is a Los Angeles based Graphic Designer and Creative Director. Azerrad founded LADdesign, a graphic design studio dedicated to elevating our cultural experience through design excellence. Since 2001 LADdesign has created graphic design and comprehensive visual identity systems for clients such as Sting, Universal Music Group, UC San Diego, The Silversun Pickups, Esperanza Spalding, The Skirball Cultural Center, The Beach Boys, UCLA Institute of the Environment and Sustainability, Red Bull Sound Select, and over an Eighteen-year client relationship, spanning seven album packages for award-winning American alternative rock band, Wilco. Azerrad is the author of a Supersonic: Design and Lifestyle of Concorde, a design history of the aircraft to be published 2017. Azerrad is the chair for AIGA’s Design+Music program, a national initiative to explore how design thinking can can make a positive impact on the music industry and American culture at large through innovation and creative excellence. Maria is the Executive Creative Director and Partner at Creable, a strategic brand design agency with offices in Culver City, Bogota and Cincinnati. Originally from Bogotá, Colombia, Maria’s career started in advertising as she worked at Procesos Creativos / Euro RSCG, Bogota where she led the design department for many years. After gaining recognition by winning first place on the Premios Nacionales de Cultura 1996, she decided to follow her design career abroad and attend the prestigious Art Center College of Design where she graduated with Honors. Maria is also the mother of two awesome boys and splits her time between Los Angeles and Bogota. She speaks regularly about design, innovation (aka making things better) and entrepreneurialism (aka taking risks on making things happen). Always wanting to share stories and learnings, Buzz teaches at many of the leading design schools in the UK and Europe, and is a regular public speaker. Boss One of @NormallyStudio. Founder of live|work, Service Design Pioneer. 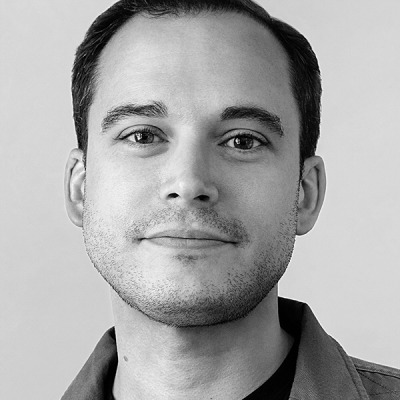 Nicolas leads projects at the intersection of innovation, branding and transformation, with deep expertise in both design and business strategy. Over the past 15 years, he has designed a wide range of products, services, and environments. At SYPartners, he’s helped IBM, AARP and Johnson & Johnson bring to life new visions for their businesses and brands; imagined customer experiences for Old Navy, Blue Shield, and Target; and designed exhibits for Nike and IBM. Nicolas served as creative director on IBM’s award-winning THINK exhibit, an immersive multimedia experience that commemorated the company’s centennial. The exhibit is now a permanent installation at Epcot. 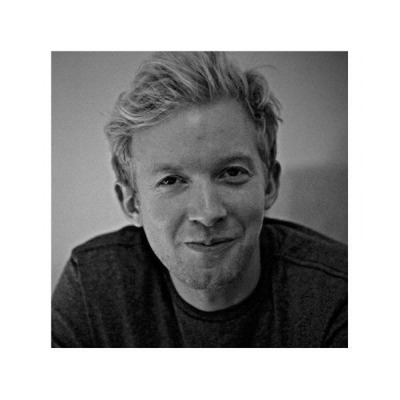 Prior to joining SYPartners, Nicolas was a product designer in France, where he worked on innovation projects with Alstom, Coca-Cola, France Telecom, and Umae, a fair-trade company specializing in handicraft products. 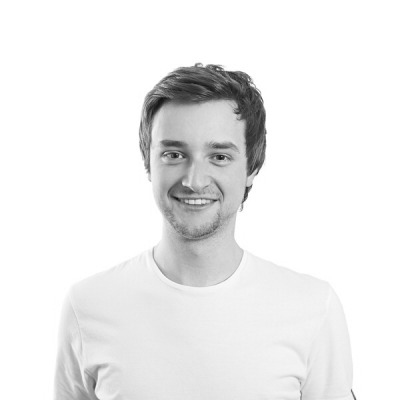 Nicolas holds an MFA in industrial design from ENSCI, and an MBA from ESSEC Business School. 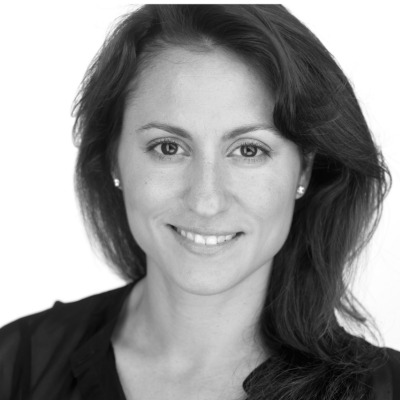 Since 2013 Emanuela Frattini Magnusson is Global Head of Design of Bloomberg LP, a global data and news company headquartered in New York, where she is responsible for the design strategy of the company’s real estate portfolio consisting of more than 180 locations. Prior to joining Bloomberg she founded and led EFM Design, an international award-winning multidisciplinary practice that spans architecture, interiors, product design, brand development, and graphics. In addition, she is founder and principal designer of Articolo, a collection of high-quality European-produced furniture, distributed exclusively through the company’s website and creative director of Spinneybeck Leather, producer of accessories and architectural products. Her Propeller Collection of tables for Knoll has been a bestseller since its introduction in 1994 and has won numerous awards, including the ,IDEA Award in Business Week and her collection of accessories is licensed exclusively to the Museum of Modern Art for sale and distribution in the United States. She has served as a visiting faculty member at Parsons School of Design and Yale University School of Architecture. She began her professional career in Milan collaborating with her father, world-renowned architect Gianfranco Frattini. Her architectural and design work has been widely published, including articles inThe NewYorkTimes, Metropolis, ID Magazine, and Metropolitan Home and numerous books. She holds an MA in architecture from the Milan Polytechnic and an MBA from New York University’s Stern School of Business. A Registered Architect in the American Institute of Architects as well as the Ordine degli Architetti di Milano in Italy, she is a Leadership in Energy and Environmental Design (LEED) Accredited Professional. 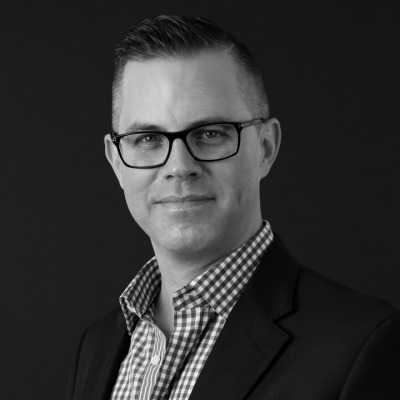 For more than a decade, Eric has worked at the intersection of change management, brand strategy and marketing activation. 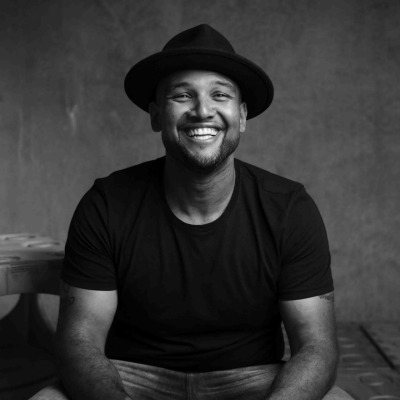 Guided by the belief that individuals and institutions do their best work when aligned around ethical stories, Eric is committed to building brands and organizations that genuinely serve people. Among his most prominent clients are IBM, Alibaba, NVIDIA, Chanel, Cole Haan, BP and Target. Eric recently founded and leads the Designing Change practice at VSA Partners, where he and a team of business strategists, creatives and facilitators help transformation leaders in Fortune 1000 companies to design their futures. 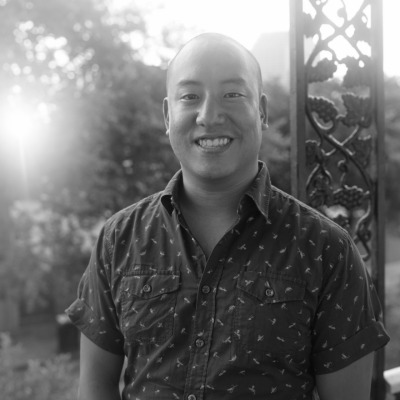 Prior to his current role, Eric launched and led the Strategy Practice at VSA. To tackle the multifaceted challenges faced by multinational brands today, he built a team of strategists with expertise in branding, design thinking, technology, market and user research, and advertising. During this time, Eric also worked closely with his partners at VSA to transform the company’s New York office from a regional, boutique design firm into a full service branding and technology shop. With a BA in Comparative Literature and Philosophy from NYU and an MA from the University of Chicago, Eric’s background in philosophy and literature form the foundation of his approach to problem solving and opportunity creation. An Entrepreneurship Coach at NYU’s Leslie eLab, Eric is also a guest lecturer in Design Thinking at NYU’s Stern School of Business. Richard is a principal strategy director at frog with a focus on data, systems intelligence, innovation, and organizational change. In his role, he helps leaders explore the frontiers of human-centered approaches to intelligent systems. Richard has a long consulting background with innovation leaders like Doblin, Monitor, and SYPartners where he as worked on large scale foresight, innovation, and transformation programs across industries including healthcare, information technology, consumer products, urban systems, humanitarian affairs, international development, and national security. Richard in on the faculty at School of Visual Arts Products of Design Master’s program and has conducted projects throughout the world in Europe, Asia, Africa, North America, and the Middle East. Select clients include: BNY Mellon, IBM, Google, Microsoft, SK Telecom, The United Nations, and the US Department of Defense. Born in Taiwan and growing up in Argentina and Spain, Jackie moved to the United Stated in 1998 after being accepted by the Art Center College of Design, Pasadena, California. He graduated in 2001 with BS in Transportation Design. Ken holds a Bachelor of Science from the Art Center College of Design in Pasadena and has been a senior lecturer at the California College of Arts in San Francisco. Born and raised in Chicago, Norio studied at the Institute of Design. At the heart of it all, Norio is an artist. When he isn’t designing, he is either professionally illustrating or hanging his paintings in better art galleries around San Francisco. Norio has also been a semi-professional tumbler, and is a fully-professional fish monger. Selen co-founded Karbon in 2005. Since then she's been working at Karbon as a designer and consultant. Karbon is a multi-disciplinary design studio providing creative solutions and consultancy in concept design, branding, communication design & strategy, architectural design and interior design. Karbon team is a hybrid combination of graphic designers, communication designers and architects. The company established a reputation through their work specifically in overall concept designs for café&restaurants, packaging design and branding. 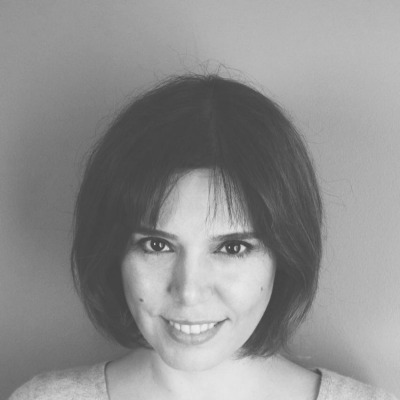 She is a member of GMK, Turkish Graphic Designers Association since 2006. 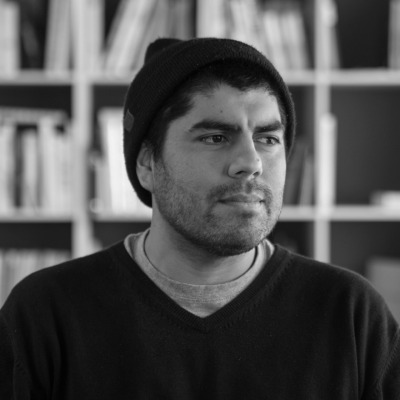 He is currently working at Atipus Barcelona as a senior graphic designer. 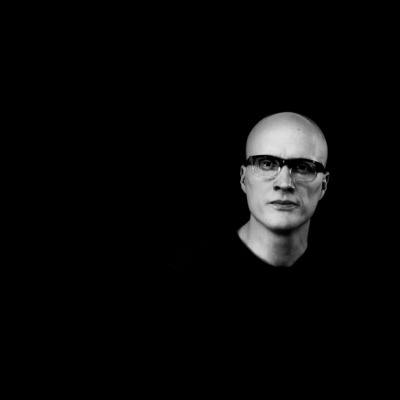 Perniclas Bedow is the founder and creative director of Stockholm based design studio Bedow. The studio mainly works with branding, packaging and book design and for the last decade their work has been widely acknowledged around the world through books, lectures and exhibitions. 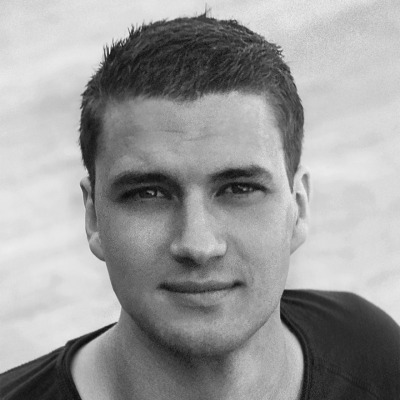 Perniclas’ work has been awarded by Art Directors Club, Cannes Lions, D&AD and Epica Awards, to mention a few.